quick recap: This is a heartwarming tale about a father’s love for his daughter. There are kittens and unicorns and happiness all around. That’s what I told myself at 1 in the morning after watching this movie so that I could actually get some sleep. It’s really about a father who brutally harms his daughter frequently and who later beats her to death. Before dying, a young Chinese man (who is not at all chinese) falls in love with her. Upon discovering the young girl’s body, the man shoots the father and then stabs himself with a sword. my thoughts: To say this movie is depressing is an understatement. During the first beating scene, I had the worst knot in my stomach and it didn’t go away after that. The love story between ‘Chinky’ (His nickname in the film. Seriously. Look it up.) and Lucy was really sweet. 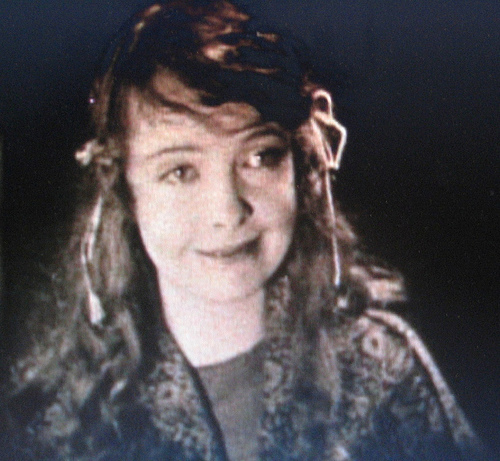 Also, wow, Lillian Gish was amazing. Beyond amazing. I thought she was sort of odd looking in Griffith’s other films but she is so beautiful and innocent in this film. The most heartbreaking scene is at the end of the movie when Lucy’s father is getting ready to beat her for being with a Chinese man. Lucy locks herself in the closet and the look on her face and the emotions she showed are so real. And that’s what made this movie so difficult to get out of my mind last night. The scenes were so realistic, save for the drunken father’s Popeye-esque scowl. Final review: I suppose I should figure out what this part means. I think this will be my opinion, how I felt about the movie and not necessarily how you might feel. In this instance, I give it a 5/5 because of its lingering effect on me. quick recap: This is a flashback story about a man named Francis who goes through a terrifying experience. He goes with his friend to a fair and meets. Dr. Caligari who has a cabinet. Thus the title. 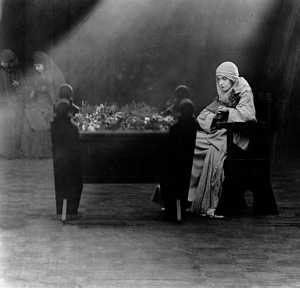 Inside the cabinet is a somnambulist (sleepwalker) who can see the future, according to Caligari. Francis’s friend asks the sleepwalker, Cesare, when he will die and is told he will be dead by dawn. This comes true later on as well as a few other strange murders. 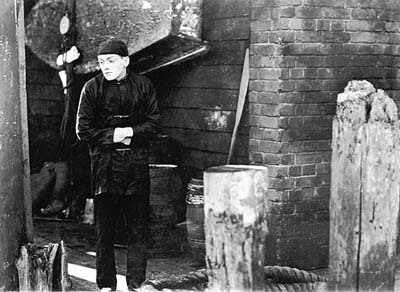 It is revealed that Cesare is doing the killing, under the guide of Caligari. Francis heads to the local insane asylum to figure out some more information and finds out that Caligari is the director. 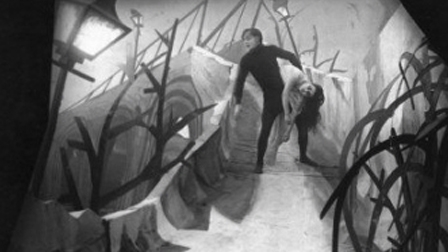 It is also revealed that he is obsessed with a monk named Caligari who controlled a somnambulist who also murdered. After it is revealed that Cesare is dead, the doctor goes insane and is committed to his own asylum. The end? NO! There is a twist! Fun (?) fact: This movie introduced the idea of a twist ending in cinema. My thoughts: The very first thing I noticed about this movie is the set. It feels more like a nightmarish play than a movie. In many ways, I felt like everyone was trying too hard to be shocking and scary. The makeup was over the top as well as the expressions. On the other hand, it definitely set the mood. If you eliminate all the dramatic elements, the story itself is akin to a Twilight Zone episode. 92 YEAR OLD SPOILER ALERT: turns out, Francis, Cesare, and his fiancee are all residents at the local asylum and ‘Caligari’ is their doctor. It was just a story! I’m a sucker for twist endings, so this gave the movie some points. Final review: 3 out of 5. The movie is really short so it doesn’t hurt to check it out. It’s interesting to see the birth of a now common cinematic element, back when no one saw the ending coming. I’m talking to you, Shyamalan. Quick recap: Cue the Sad Trombone or Happiness Flute, depending on your preference, but this movie did not in fact contain any vampires. There is a group of villains who do all of their schemes at night though. The ‘movie’ is actually 10 episodes built around Investigator Philipe Guerande and his friend Mazamette. Each part has the criminals plotting something and then Guerande and Mazamette catch them in some way, usually without realizing it. Fun (?) Fact: This is considered to be one of the longest movies ever made, clocking in at roughly 6 1/2 hours. I dispute this because when it was released in theaters, it was broken up into episodes over a year. It’s more of a mini series than a movie you would watch all at once. 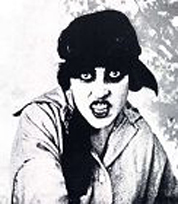 Irma Vep is one of the main villains and Musidora, who plays her, does the job perfectly. She is calculating and heartless and so smart. I was genuinely surprised how she is not portrayed as some woman caught up in the mess, but perfectly capable of handling herself. Final Review: 4/5 If it wasn’t so long, I would totally give it a 5. Episodes are all different lengths so just jump in and watch when you have time.